‘Tis true, so true. Is the photo some of your ancestors? The one on the left reminds me of “Jim-Bob” from The Waltons…maybe it’s the way he’s holding his mouth! Oh how cool. I like the looks of him! He looks curious and intelligent with a little bit of mischief mixed in. Thanks, I agree. The stories I could tell you that prove you right! She was a very prolific and very well respected author. 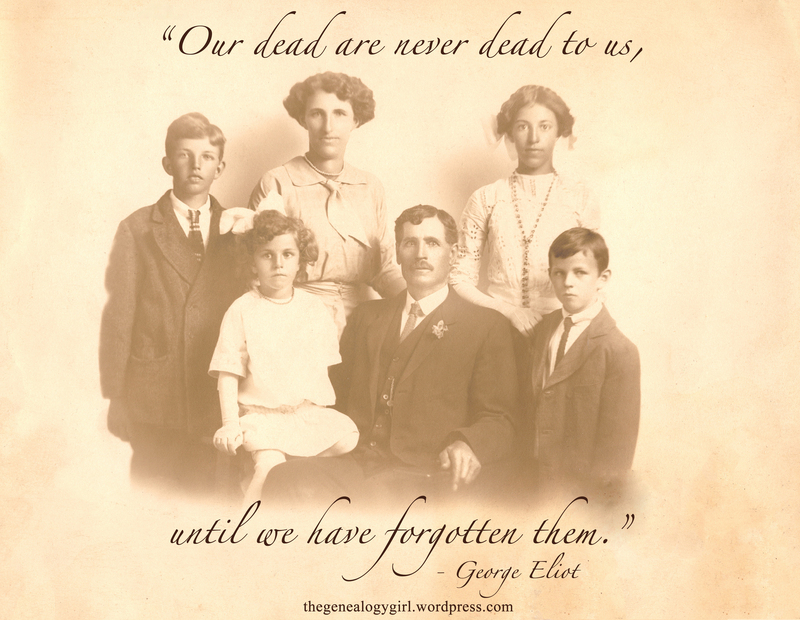 The quote could be the genealogist’s mantra.